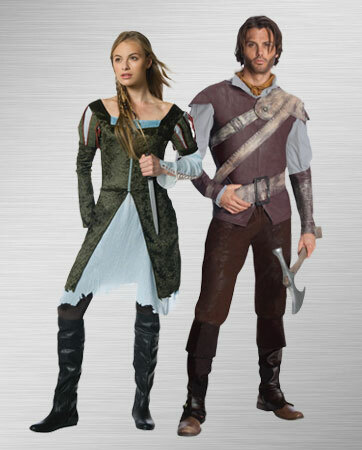 Make them (or yourself) into royalty this Halloween! 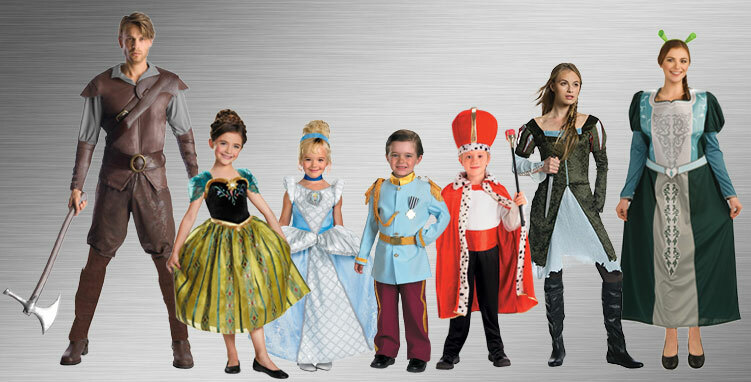 Whether you're headed to a wonderful costume party at a fairy tale castle, or want to take the future queen or king out for some trick-or-treating, this collection of Princess and Prince Costumes is sure to please them! There are lots of accessories for you to make the look even better, too! Step into a world of royalty and adventure when you pretend to be a prince or princess for a day. The magic and excitement sweeps you away to a land where princes slay dragons and battle evil to protect their kingdoms. Sway and dance at the royal ball with Cinderella and Prince Charming. Outrun the Huntsman as Snow White. Build a snowman with Anna and Elsa. Go on a magic carpet ride with Jasmine and Aladdin. Get lost in the library with Belle. Escape to another time and place with any of these prince and princess characters. 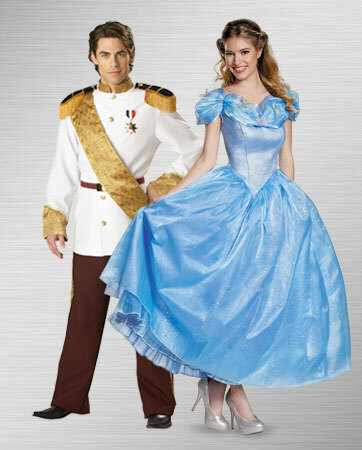 No matter their style, girls and boys of all ages will love the feeling of dressing up as true royalty. 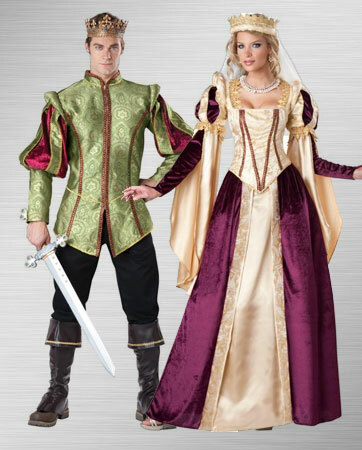 Big or small, show off your extravagantly royal personality at your next costume event with any one of these prince or princess costumes. Prince Charming has known royalty all his life, but he’s not sure if he’s found his true calling. Destined through birth to marry a princess, Prince Charming goes against his parents’ wishes to find his true love. Once he meets Cinderella, he makes it his mission to find her, marry her and live happily ever after. Cinderella’s confident and independent nature take her far. No matter how much evil or sorrow, she keeps a kind heart. She finds her way to the ball by being resourceful, smart and brave. Cinderella and all the Disney Princesses’ show that kindness pays off when they find their happily ever after. Headstrong and tomboyish, Princess Merida is not your typical princess. She’s not a damsel in distress; this princess rebels and fights her heritage to become like any normal girl. She has a free spirit and won’t be bothered by etiquette and manners. Princess Merida spends most of her time bravely adventuring in the outdoors. A resident of only the most extravagant of castles, the Renaissance Princess lives a life of luxury. With delicious feasts of turkey legs, roasts and pastries, the royal castle is the place to be. The Renaissance Princess wears traditional a medieval dress with an elegant lace-up bodice and represents the kingdom with her beauty. The Renaissance Prince is tenacious and resilient as he slays dragons and keeps watch over the kingdom. He’s no Prince Charming. Once he crosses the drawbridge, all enemies had better watch out. In his traditional renaissance garb, this prince means business. The Winter Princess makes ice magical as she casts a spell of cold far and wide. In a dazzling blue ensemble, this princess is on her way to being a Snow Queen. Snowflakes are her accessories as she elegantly glides through the wind, snow and ice. 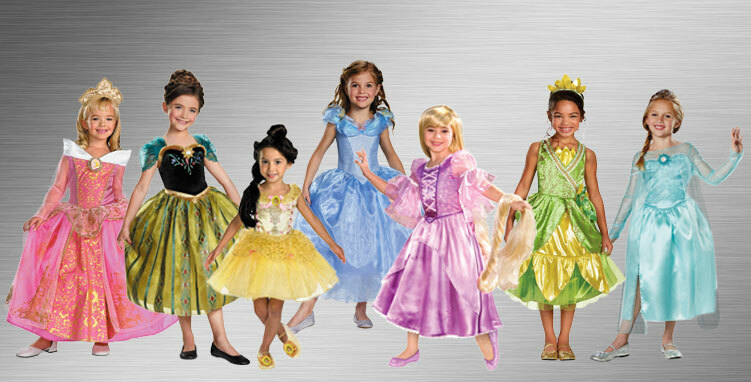 Create your own royal family when you dress your group in prince and princess costumes. Family and friends of all ages will jump at the chance to be part of a classic group costume idea. Make up your own stories by mixing and matching characters from different films or stick with the traditional route. There’s something for everyone here to feel like royalty when you include them in your group. We know your family loves watching these timeless stories together and now you can act them out in real life! Get on with your creative self and go all out transforming into your favorite princes and princesses. Gather together and embark on a journey to fight off evil, save the kingdom and live happily ever after. With your busy life, you deserve an excuse to escape reality for a night. Prince Charming has just found the owner of the mysterious glass slipper! Dress up as this classic couple to enjoy an elegant evening at the ball. Even if there isn’t a couple’s costume contest, this pair is sure to steal the show. The Evil Queen sent her Huntsman to find Snow White…and now they’re a couple’s costume? But what happened to Snow White’s prince? Spend the evening enchanting party guests with your brilliantly ironic costume idea. Who needs Prince Charming anyway? This pair is all about protecting their kingdom. Dragons and sword fights are no match for them. Break away from your modern life to have fun dressing up in these traditional renaissance outfits. Remember your medieval accents! A match made in heaven! 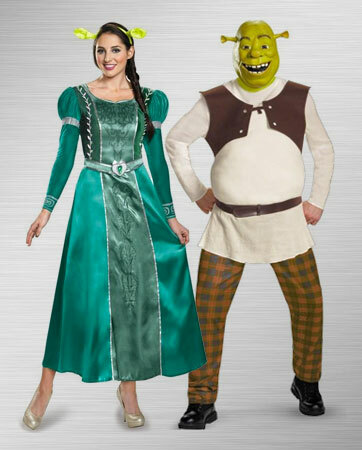 Who wouldn’t want to transform into Fiona and Shrek for a day? You’ll have tons of fun with an excuse to be a messy ogre. Just watch out for Donkey; he’s been known to be a third wheel. 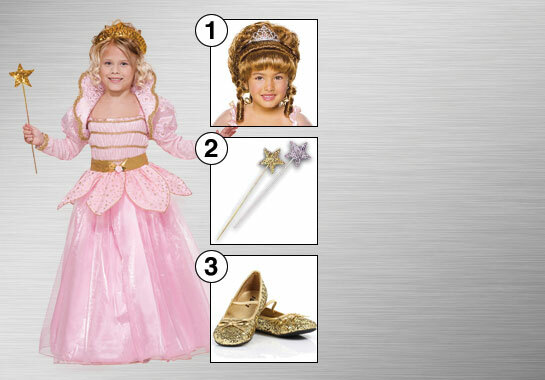 Be the star of your very own fairy tale with the Ultimate Enchanting Princess costume. Whether you come with Prince Charming or meet him at the party, he won’t be able to take his eyes off you and your sparking gold tiara. 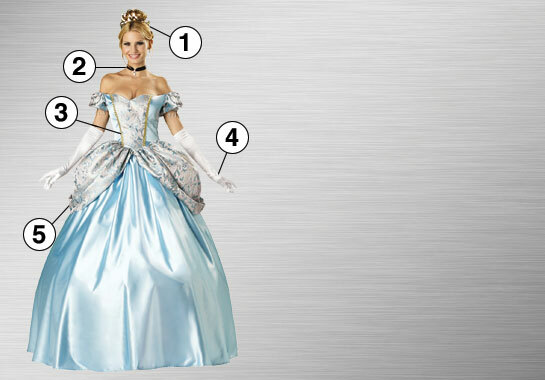 This costume has everything you need to become one of the most cherished Disney Princesses. Complete with a black jeweled choker, dainty brocade design and elegant white gloves, you’ll be the belle of ball. And don’t forget about the gold embellished petticoat. You don’t even have to be home by midnight! Let your little princess feel like the real thing with this pretty in pink costume. Everyone knows pink and gold are the colors that scream royalty. Help her find happily ever after in a long-sleeved jacket, shimmering belt and shiny gold stars. The ensemble isn’t complete without the princess's perfect blonde wig and tiara. She’ll be able to wave to her subjects with the stunning sequined star wand. And don’t forget about the most important element—shoes. Gold sparkle ballerina shoes are the only option to make her feel like the beautiful royal princess she truly is.